The Blanton House is an elegant Georgian Colonial Style mansion set on seventy three acres of beautifully landscaped grounds, conveniently located on a quiet street just seconds from historic downtown Danville and minutes from Indianapolis.The craftsmanship, Georgian Colonial Style and old world charm will sweep you and your attendees off their feet as they are overwhelmed with its beauty. The house and grounds have been continually and meticulously restored retaining its original homely charm while providing today's modern facilities. The house features antique furnishings, open fireplaces, sweeping verandas, an extensive courtyard and grand dining room with stunning garden views. 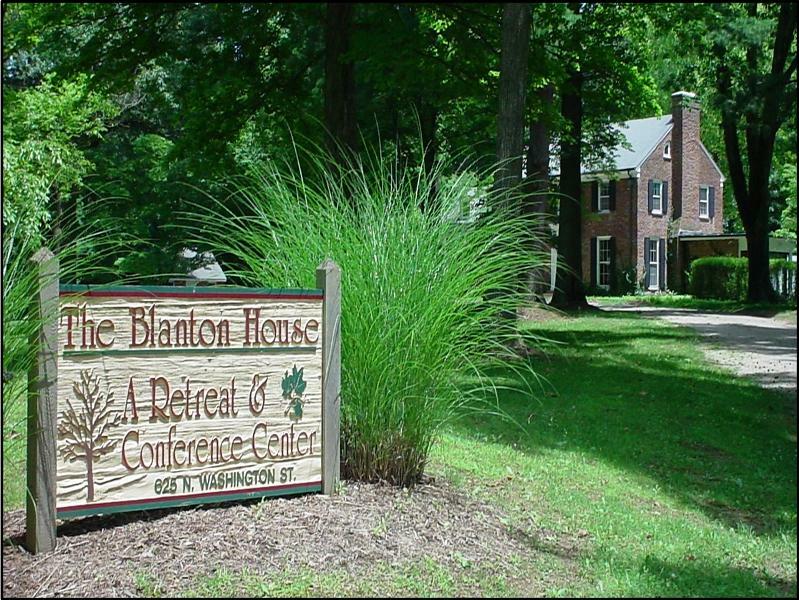 The Blanton House has a capacity for functions of 5 to 250+ guests seated or even more standing. It features the ever popular courtyard which is covered by an elegant canopy making for the perfect wedding or event atmosphere.Our facility promotes an open venue to all renters.They can enjoy the freedoms of choosing their own vendors for services needed for your event.This includes wedding planner, caterer, flowers, photographer, tables and chairs. You can be as creative or as simple as you would like with your event. Weddings, Receptions, Showers, Business Meetings, Retreats, Birthdays, Family Reunions, etc.